Saskatoon, Canada, 2016-Feb-17 — /EPR Retail News/ — A new partnership between the Co-operative Retailing System (CRS) and GEOSYS International Inc. will bring the latest digital agriculture and satellite imagery technologies to farmers. Co-op AG Team Agronomists at South Country Co-op will begin using GEOSYS’ Croptical™ monitoring application this spring. In the first year of the partnership, the application will be used to monitor the field health of a minimum of 120,000 acres in southern Alberta. GEOSYS, founded 28 years ago and operating globally, is a pioneer in developing tools based on satellite imagery that improve agriculture business efficiency, including farming practices. Croptical provides agronomists with a powerful tool as they build impactful farm strategies for growers. The monitoring application uses daily satellite and weather-based data to produce detailed crop health readings with Normalized Difference Vegetation Index (NDVI) technology. Field NDVI growth during the season reveals where there are opportunities to push or protect yields and where agronomists and growers should focus their attention and smart-scout. 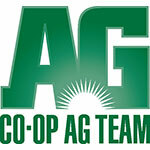 Throughout the 2016 growing season, South Country Co-op will work with Federated Co-operatives Limited (FCL) to evaluate Croptical for potential introduction to other Co-op Agro Centres in Western Canada. This entry was posted in Management, Retail, Retailer, Technology and tagged CRS, digital agriculture, farmers, GEOSYS International Inc., Mike Clement, satellite imagery technologies. Bookmark the permalink.